From Monday 18th March, small-scale seed producers across the UK and Ireland will be celebrating Seed Week to raise awareness of the benefits of buying locally grown and adapted, organic seed. 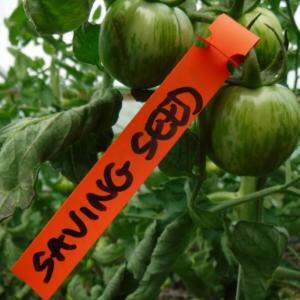 Seed Week is coordinated by The Gaia Foundation who are leading the Seed Sovereignty UK and Ireland programme in partnership with groups including the Soil Association, the Landworkers Alliance, Irish Seed Savers Association and the Seed Cooperative. The programme aims to increase the diversity of seed being grown on home soil by supporting budding and existing small-scale seed producers. Learn more about Seed Week and the work of the five regional coordinators here. Interviews can be arranged with any of the programme’s Regional Coordinators or the Programme Manager. Professional photographs and film are available upon request to accompany this story. We are a small organisation with over 30 years’ experience accompanying partners, communities and movements around the world to revive bio-cultural diversity, to regenerate healthy ecosystems and to strengthen community self-governance for climate change resilience. Seed and food sovereignty for climate change resilience is a core part of Gaia’s work. Food sovereignty is defined as ‘the right of peoples to healthy and culturally appropriate food produced through ecologically sound and regenerative methods’. 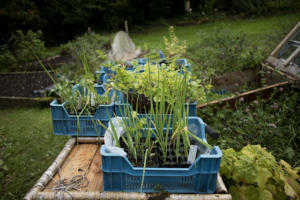 Food which is local, is grown in nourished not intoxicated soils, and is rich in nutrients. This goes beyond food ‘security’; it prioritises local and national economies and markets over international trade, and our responsibility to future generations of all species through the way in which we grow our food.